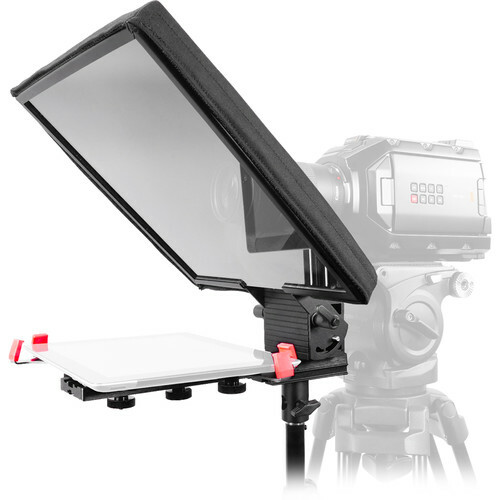 The UltraFlex 12" FreeStand iPad Pro Teleprompter from Prompter People can be used with iPads/tablets up to 12.9" including the iPad Pro and the Surface Pro. 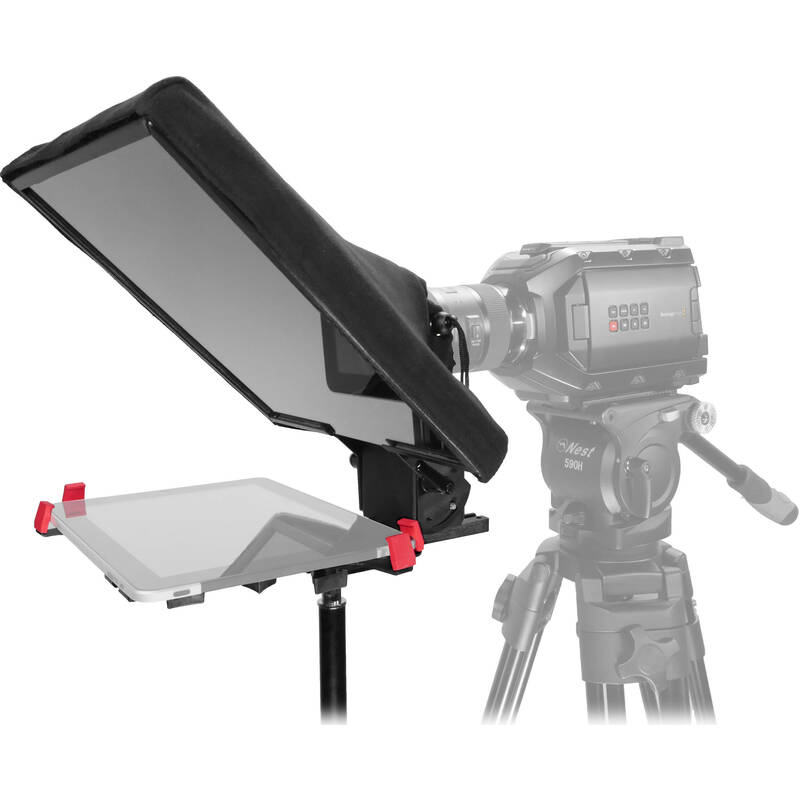 This compact teleprompter sets up quickly with tool-less control of camera position and includes a Bluetooth wireless keyboard remote. For wirelessly controlling the teleprompter, Prompter People's iCUE prompting app is available from the app store. A Tab Grabber allows you to use this teleprompter with all iPads/tablets up to 12.9" including the iPad Pro and the Surface Pro. Box Dimensions (LxWxH) 30.0 x 26.0 x 18.0"